The Indian Embassy in Seoul will organize the fourth annual installment of Sarang, a cultural festival introducing India’s colorful and varied heritage, at venues across Korea in September. Sarang started as a small event in 2015, and has since grown in size and popularity, according to the embassy. It has brought art forms from throughout India to the Korean public. Last year, which marked the 70th anniversary of India’s independence, saw sold-out performances of Indian classical music for the first time here. 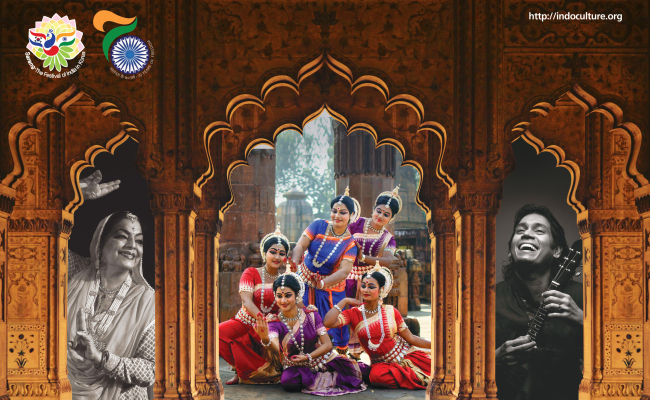 Encouraged by last year’s success, the embassy will introduce this year two classical dance forms -- kathak and odissi -- as well as carnatic classical music from southern India. “While only few people know that there are several cultural similarities between our two countries -- be it in art form, language or music -- we use Sarang as a platform to introduce these elements to our Korean friends,” the diplomatic mission told The Korea Herald. Kathak is a classical dance that conveys stories through foot-tapping, hand movements and facial expressions. Odissi, a major ancient classical dance performed predominantly by women in its beginnings, expresses ancient mythologies and religious ideals. Both are taught at Indian Culture Centers in Seoul and Busan. Carnatic is one of two main subgenres of Indian classical music that evolved from ancient Hindu traditions, the other one being Hindustani music, which emerged as a distinct form influenced by Persian and Islamic civilizations in northern India. Carnatic’s main emphasis is on vocalization, with most compositions written to be sung. As part of the festival, kathak performances will be held at Ewha Womans University’s Samsung Hall on Sept. 6 at 8 p.m., while carnatic performances will be held at Yonsei University’s Millennium Hall on Sept. 12 at 8 p.m. Odissi performances will be held at National Museum of Korea on Sept. 8 at 3 p.m.
Keum Bena, a Korean who has practiced odissi in India for the last 10 years, will showcase the dance in Korea as part of the visiting troop. In addition, the Indian Film Festival will be held at the Korean Film Archives at 5 p.m. from Sept. 11. Sarang is administratively supported by the Seoul Metropolitan Government, Seodaemun District Office, Indian Council for Cultural Relations and other organizations. It is financially supported by Korean and Indian companies and organizations, including Hyundai Motors, which has backed the event for the last four years, as well as the Indian Chamber of Commerce in Korea. Those interested in viewing kathak and odissi performances can book tickets at www.ticketlink.co.kr/product/24582, and carnatic performances at www.ticketlink.co.kr/product/24581. For more information, visit www.indoculture.org, or contact the Indian Embassy.